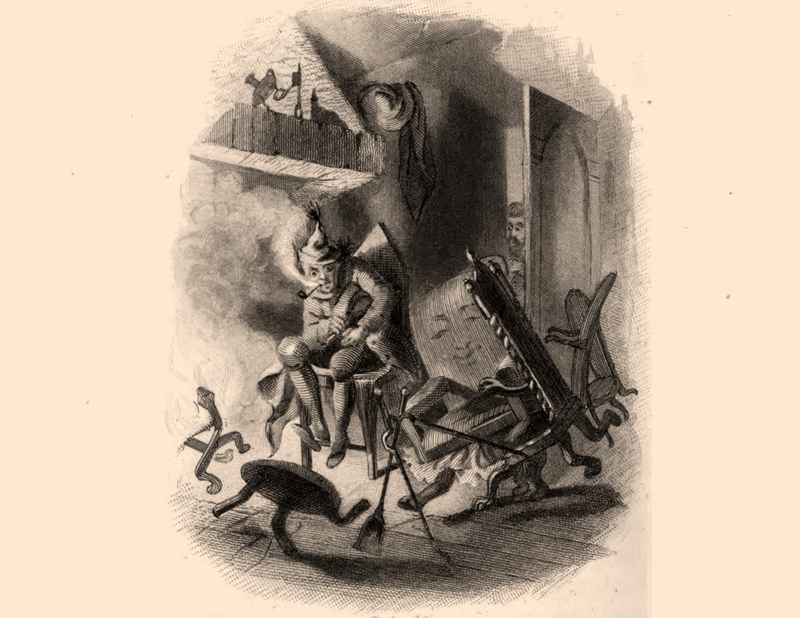 “The Bold Dragoon,” illustration by American artist F. O. C. Darley (1822–1888) for Irving Vignettes: Vignette Illustrations of the Writings of Washington Irving (1858). Flush from the twin successes of The Sketch Book and Bracebridge Hall, Washington Irving planned an excursion through the European continent in 1822, on the lookout for material for his next book. “I mean to get into the confidence of every old woman I meet with in Germany and get from her, her budget of wonderful stories,” he wrote to a friend. His enjoyment of the trip reached a pinnacle at the end of the year upon his arrival in Dresden, where he received the kind of reception usually reserved for an internationally famous dignitary. Over the next few months he appealed to his European acquaintances for anecdotes, legends, and stories. The resulting volume—Tales of a Traveller—is quite unlike his previous two best sellers, each of which resembles a leisurely tour of England punctuated by literary discussion and a scattering of stories. “Tales was destined to disappoint,” writes Irving scholar Judith Giblin Haig. “Irving’s public expected a sketch book based on his year-long odyssey in Germany; he gave them instead a four-part miscellany of short fiction, his most extensive specimen of the genre in which American literary historians would regard him as a pioneer.” Sales were anemic and reviews were mixed, and the volume has slid into obscurity since its publication. Yet several of the stories have long been held in high regard, perhaps most famously Irving’s retelling of the Faust legend, “The Devil and Tom Walker.” Another story from the collection, “The Bold Dragoon,” found a new audience when in 1930 it was chosen as the title selection in a popular volume of Irving’s fantasy stories edited by prominent children’s librarian Anne Carroll Moore and illustrated by modernist painter James Daugherty. 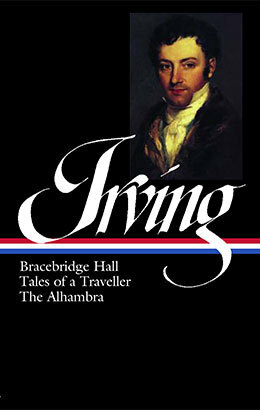 Irving included “The Bold Dragoon” in Tales’s first section, “Strange Stories by a Nervous Gentleman,” a series of stories shared at a hunting dinner hosted by a Baronet and attended by a group of bachelors, including an Irish captain of dragoons, an “inquisitive” gentleman, and the “nervous” gentleman who serves as the narrator. “The Bold Dragoon” is the last in a short sequence of comic pieces featuring ghosts (or the possibility of ghosts), and it concludes with the promise that the next tale abandons this “burlesque tendency” for a story “of a very grave and singular nature.” That subsequent selection, “The Adventure of the German Student,” has previously appeared as a Story of the Week selection, should intrigued readers want to keep going after they’ve finished this week’s selection. Note: Among the Dutch words used in the story are ya vrouws (juffrouws, or maidens) and die duyvel (that devil). The legend on the sign (page 412) translates, “Good drink sold here.” Ally Croaker (page 414) was a popular eighteenth-century Irish song. “But I don’t see, after all,” said the inquisitive gentleman, “that there was any ghost in this last story.” . . . If you don't see the full selection below, click here (PDF) or click here (Google Docs) to read it—free!